The Amazon River in South America is the largest river by discharge of water in the world, and the second in length. The Amazon river runs 4,000 miles from the Andes to the sea, and is longer than any river but the Nile. 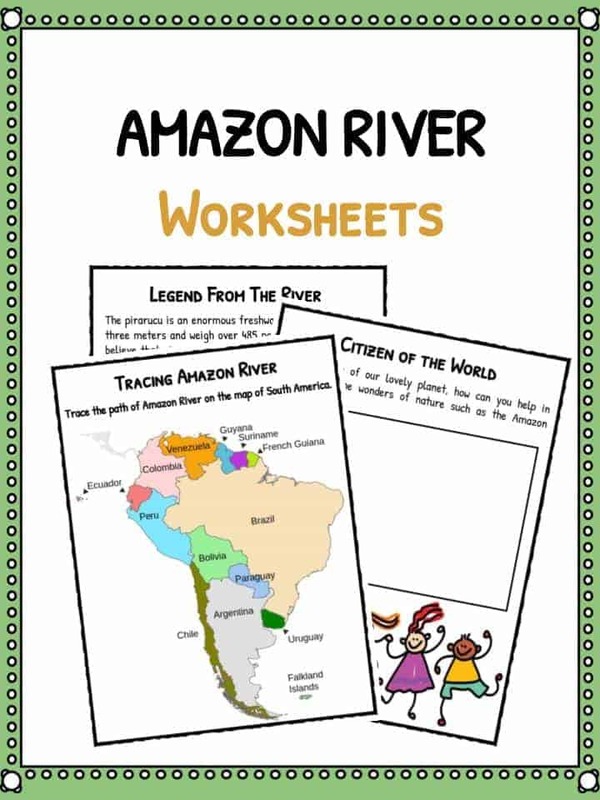 See the fact file below for more information on the Amazon River or download the comprehensive worksheet pack which can be utilised within the classroom or home environment. The Amazon River is located in South America within the Amazon Rainforest. It runs through Guyana, Ecuador, Venezuela, Bolivia, Brazil, Colombia and Peru. There are over 200 Tributaries to the Amazon River. A tributary is a freshwater stream that feeds into a larger stream or river. The Amazon river stretches a length of 6400 kilometres (4,000 miles. 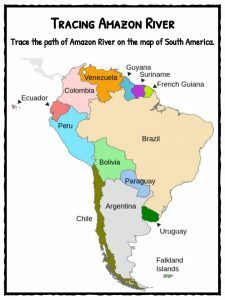 The Amazon river is in the continent of South America. The initial source of the Amazon river ia Lago Villafro in the Andes Mountains, Peru. The largest city along the Amazon River is Manaus. This is a Brazilian city with a population of 1.7 million. The mouth of the Amazon river is from Brazil into the Atlantic ocean. Although the Amazon River is the second largest in the world it’s the largest in terms of the size of its watershed, the number of tributaries, and the volume of water it discharges to the sea. No bridges cross the Amazon River. This is due to the river running through the rainforest. The Amazon River is so vast that it is estimated to be responsible for one fifth of the fresh water that reaches the surrounding oceans. The Amazon rainforest is the largest in the world. It surrounds the Amazon River. The Amazon river is home to the endangered pink river Dolphin. It is said there are over 3000 different species of fish within the Amazon River. 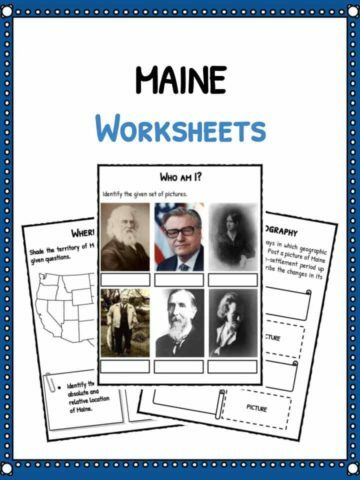 More are discovered every single year. During the wet season the Amazon River can reach 120 miles (190km) in width. Perhaps one of the most well known fish within the Amazon River is the Piranha. With its razor sharp teeth it’s one of the most feared fish in the world. The Amazon river is sometimes referred to as the ‘River sea’ due to it’s vast size. 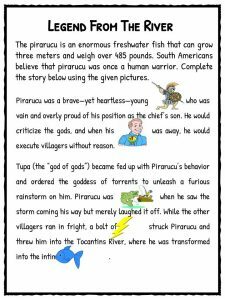 Other well known animals also found in the Amazon river. These include the Anaconda, catfish, electric eel, crabs, turtles and caiman. 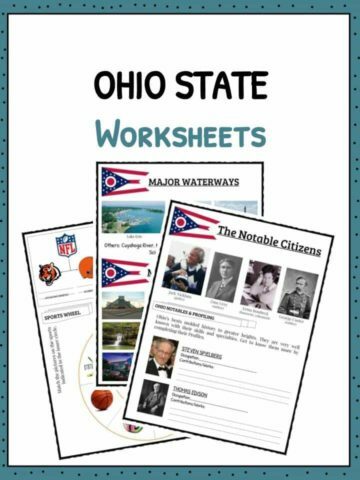 This bundle includes 11 ready-to-use Amazon River worksheets that are perfect for students to learn about the Amazon river which runs 4,000 miles from the Andes to the sea, and is longer than any river but the Nile.